Size: 34HP. Current: +12V 235mA, -12V 0mA. 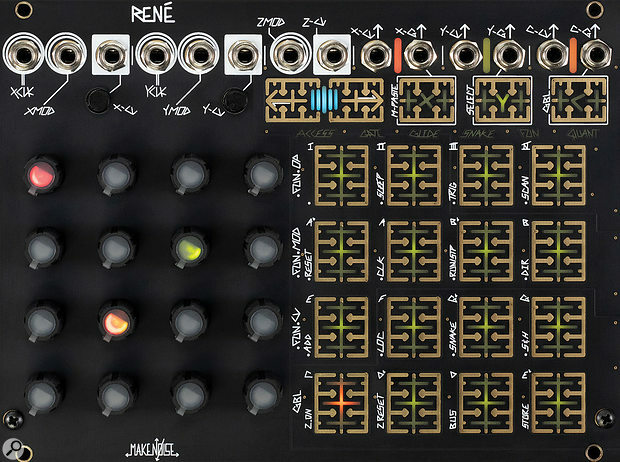 Make Noise proudly promote the René as "the world's only 3D Cartesian Music Sequencer". I had no idea either, but it's been fun finding out. 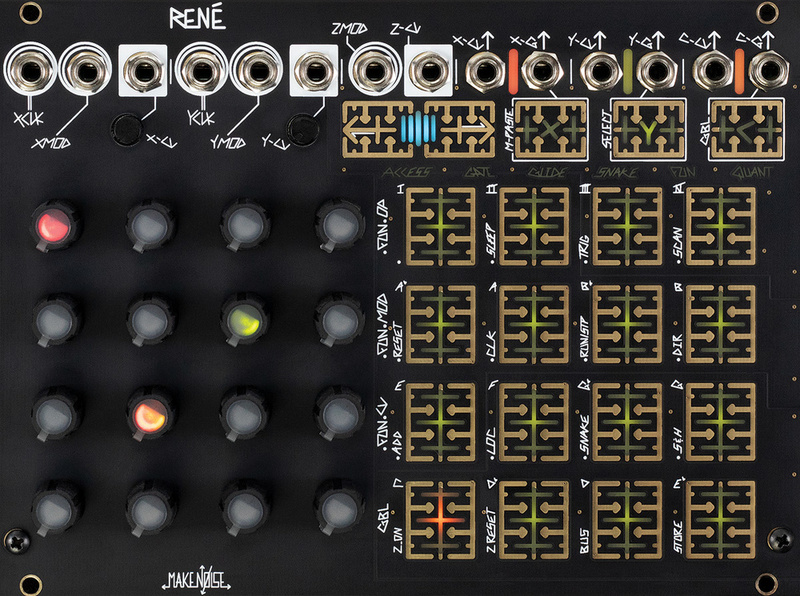 The first incarnation of Make Noise's flagship sequencer module was released back in 2011. This new version takes the concepts introduced by the original and multiplies them by three.